Monthly repayment business loans and weekly repayment business loans are now available for both the merchant credit card working capital program. They are also available for the ACH bank statement working capital program. Businesses are approved based on the total deposits their business makes each month and the average daily balance in the account. This financing allows businesses to consolidate their short term loans. If merchants can qualify under these programs, merchants can have a weekly or monthly repayment instead of a daily repayment. Going away from the daily repayment requirement can take a lot of pressure off the merchant’s daily cash flow. Or call us at Tel: 1-919-771-4177, or get a Weekly or Monthly business loan here. In the past, only a daily repayment option has been available. Merchants and businesses cash flow has been under pressure to meet the daily payment. Based on the stress daily repayment loans put on a business’s cash flow for short term loans, there has been a high demand for this type of financing. 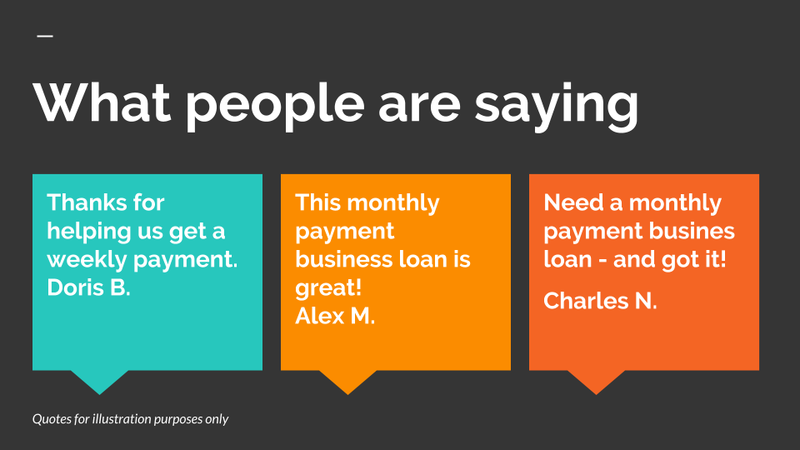 Customers have been calling in and specifically requesting monthly payment business loans. This includes Monthly repayment business loans, as well as weekly payment business loans and weekly repayment business loans. The requests by callers have varied further with other requests asking for a consolidation of short term loans. Most requests are for a consolidation of short term business loans, and to consolidate merchant cash advance loans into longer term business loans. A Timber company in the Southeast wanted a Weekly or Monthly payment for working capital. They were denied. The reason? In addition to their credit score being too low, they already had 3 current advances. has a Weekly or Monthly payment. customer is already putting out major cash flow every month on their daily payments. The Monthly payment loans are not prioritized because they are paid later. Calls often involve businesses saying they have a cash flow emergency or have to immediately or are desperate to payoff short term advances. Some merchants say they cannot handle the advances anymore and have to term them out. Merchants have also said their business cannot continue with the merchant advances they have. In just about all cases they really want help getting out of their merchant advance problem. If a business merchant was approved for a $50,000 advance with a 12 month repay at a 1.33 rate factor, the daily repayment would be $263 per day. Merchants still have to meet the total debt repayment. There may be more flexibility in the repayment and term options. If the business can qualify for weekly or monthly repayment, they don’t have to review their cash flow each day to make sure they can handle the next day’s payment. This will lower the daily burden on businesses. It also prevents the chance each day of a check bouncing and having an NSF insufficient funds. It can help a business from getting behind in only a few days with the daily repayment. With the daily repayment a business may more quickly get itself into a cash flow problem it has a hard time getting out of. To qualify for the weekly and monthly ACH business merchant repayment options, a business will need to have a longer time in business and more consistent cash flow. Businesses that are seasonal, have inconsistent cash flow and have been in business for less than 1 year may prefer to choose the daily or weekly repay. For those businesses, having the weekly or monthly repayment can lower the burden of having to make a much larger payment at the end of each week or each month. Many businesses have good overall monthly cash flow, but low cash flow days during the month. By setting a weekly and monthly ACH business merchant repayment, these businesses will be able to meet their repayment terms. If they have one, two or even three low cash flow days each month, it will affect them much less with the weekly or monthly repayment. Businesses can easily calculate the different repayment terms. Whether a business chooses a weekly ACH repayment option or a monthly ACH repayment option, the payment can be easily calculated. 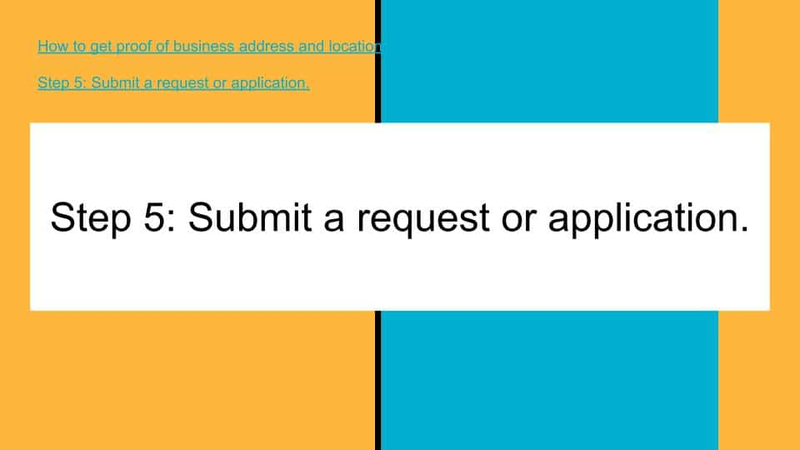 Example: A business is approved for a $100,000 “short term business advance” for 12 months. The rate factor is 1.27. The daily repayment is $504 (127,000 % 252). The weekly and monthly repayment is calculated below. Weekly repayment is $504 X 5.25 = $2,646. The monthly repayment is $2,646 X 4 = $10,584. The total repayment is $10,584 x 12 = $127,008. Customers can look at the daily, weekly and monthly repayment terms to determine which one will work best for their business. The programs available are numerous and will vary. 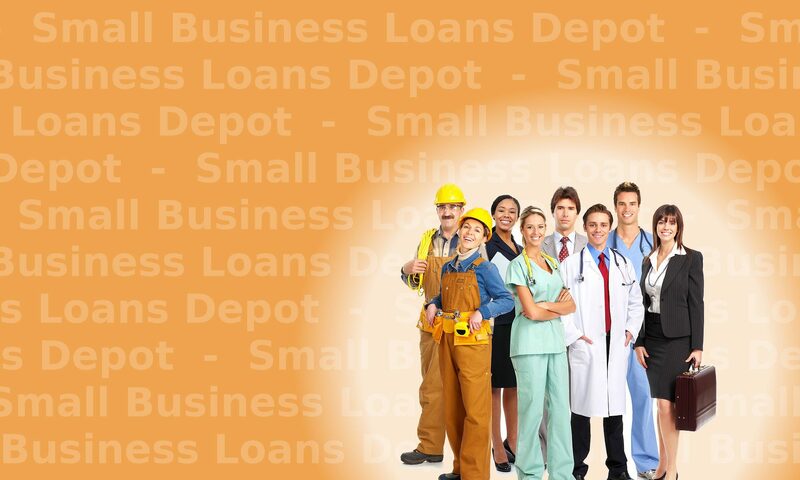 Business owners call in frequently asking for a weekly or monthly cash advance loan. 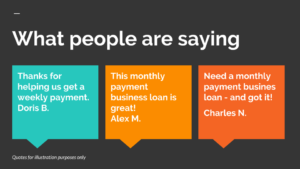 Often they will just ask for a monthly payment business loan.